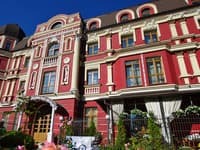 Freedom Hostel is located in a quiet elite area within a 10-minute walk (700 m) from the Poznyaki metro station and a 20-minute drive from the center of Kiev (14 km). 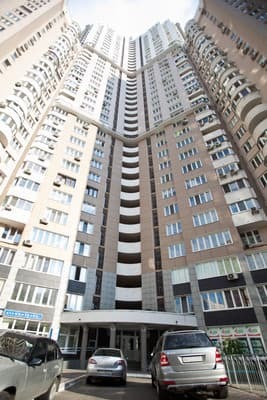 The hostel is located in a 36 storey house with a crown above, on the 15th floor, with a balcony offering a unique view of the historic part of the city. 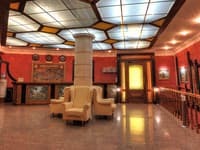 Freedom is a mini hotel with 5 rooms open to all guests of the capital. 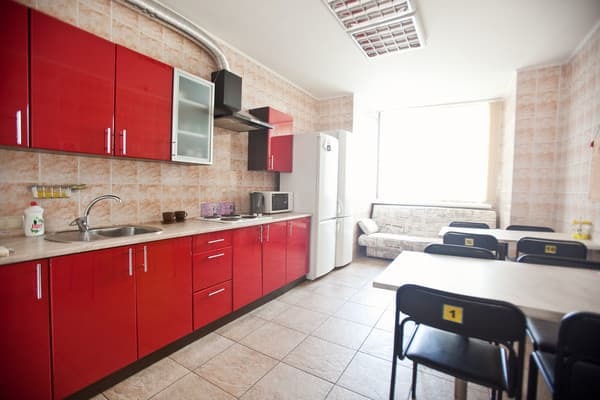 Equipped with everything necessary for living, namely: TV, cable TV, free Wi-Fi, iron, hairdryer, wardrobe, bed, washing machine, kitchen equipped with appliances and utensils for self-cooking. All rooms Freedom hostel with European-quality repair. Parking, concierge. The distance from the railway station is 15.5 km, from the airport Borispol - 25.7 km. 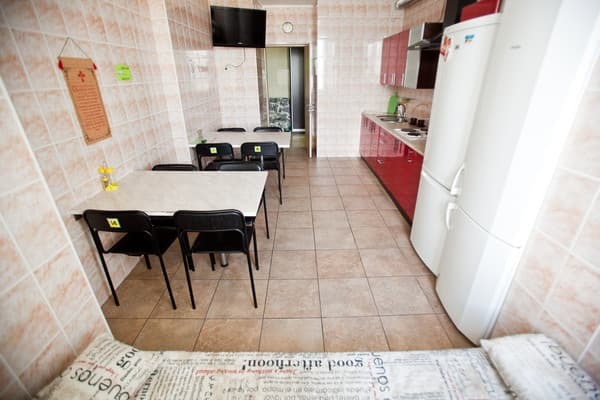 Description of the room: The ten-bedded room is equipped with everything necessary for living, namely: TV, cable TV, iron, bed linen, hairdryer, wardrobe, bunk beds. Description of the room: Eight-bedded room with bunk beds. 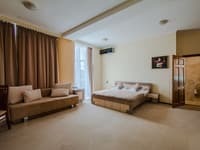 Description of the room: The quadruple room is equipped with everything necessary for living, namely: TV, cable TV, iron, balcony, computer, bed linen, hairdryer, wardrobe. Description of the room: Double room is equipped with everything you need: TV, cable TV, iron, balcony, bed linen, hairdryer, wardrobe, bed. Чисто, тихо, уютно, очень понравилось. В двухместном номере постоянно стоял запах затхлости или грязных носков. Душ был настолько грязный, что за два дня не рискнули там купаться. Приятная атмосфера и отзывчивый персонал.Неплохое соотношение цены и качества.Чисто.Бесплатный WI fi.правда с ограниченной зоной действия.ТV в комнатах и на кухне.Транспортные развязки относительно недалеко и наличие рядом магазинов и кафе очень кстати. Плохо продумана вентиляция помещений,поэтому проблема с запахами.Как будет обстоять дело летом непонятно,не увидела ни одного кондиционера.Окно в комнате стеклопакет,но видимо поломанное и из него очень дуло.Кухня открывается с 7.30,мы выехали в 7.15 поэтому не смогли даже выпить кофе. Хороший персонал. Удобные кровати. Хорошая инфраструктура возле хостела. 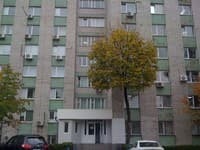 Удобства в комнате ( телевизор,интернет, чайник, гардеробная с вешалками, балкон, компютерный стол, полотенца) все чтобы чувствовать себя как дома а не в гостинице. Душ, а то есть его работа и чистота. Большие очереди в туалеты, 11 человек в одной комнате вместо 10, по 5 будильников в 5:30 без эффекта, свет выключается когда последний человек в комнату зайдет - быт не организован. Персонал очень дружелюбный. Расположение хорошее. Три минуты до метро и супермаркетов. You can cook on your own in the shared kitchen. 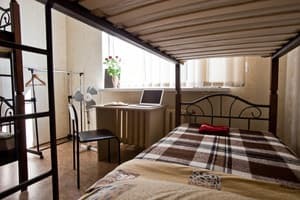 Freedom Hostel is located in a quiet elite area, a 10-minute walk from the Poznyaki metro station and a 20-minute drive from the center of Kiev. The distance from the railway station is 15.5 km, from the airport Borispol - 25.7 km. From the Central Railway Station - the metro station "Vokzalnaya" you need to go to the "Teatralnaya" station, get off at the "Teatralnaya" station and make a transfer to another (green) line, on the subway map it is marked in green, the station is "Golden Gate", you need to go to the metro station "Poznyaki", in the metro there is a sign on the street Sribbinsky. Landmark - high-rise building with a crown on the roof. 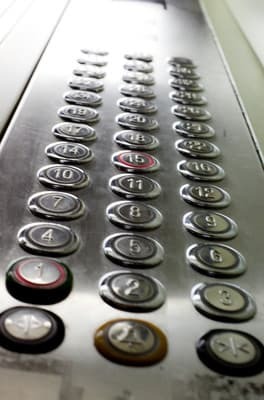 The first entrance, on the top panel of the intercom press 1, on the elevator go up to the 15th floor, apartment number 101. On TAXI from the central entrance of the railway station to the hostel the cost will be approximately 50 UAH. From the airport Borispol - by shuttle bus "Sky Bus", the cost is 25 UAH. Go to the metro station "Poznyaki", get off the bus and follow towards Sribnokolskaya Street, north through the shopping arcade. ON TAXI from the central entrance of the airport - the cost is approximately 100 UAH.